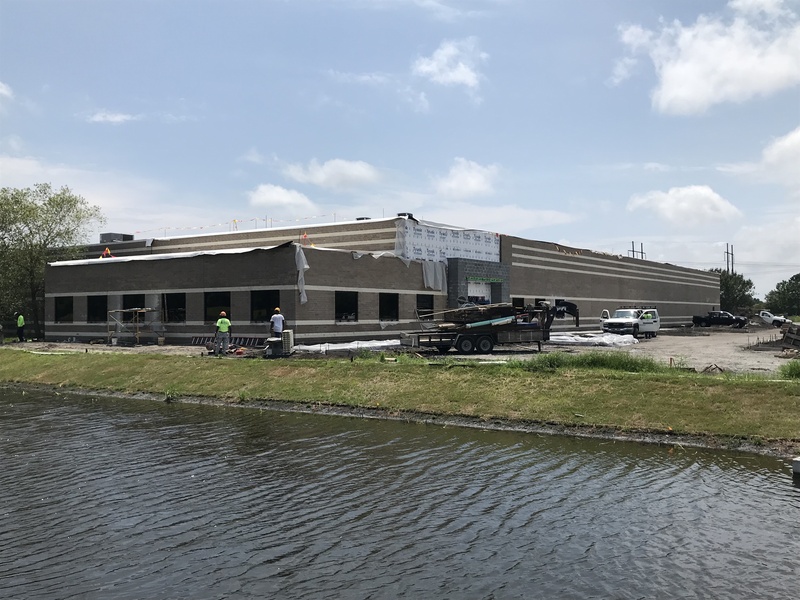 Scheduled for an August 2018 move-in date, Rulmeca Corporation’s new corporate headquarters is nearing completion. The structure will accommodate the growing staff and expanded production capabilities. With its larger size and proximity to major highways, the Port of Wilmington, and major airports; the company’s new location at 3200 Corporate Drive, Suite D, Wilmington, NC will enable Rulmeca Corporation to improve its service to customers. Within a few weeks, we will proudly display the world-famous “RULMECA” brand on our building. That name, Italian in origin, has been synonymous with high quality conveyor components for more than 50 years. Currently being fabricated, our new extended overhead crane system will soon be installed in this spacious shop and warehouse, complementing three new assembly stands and seven new test fixtures. Additionally, 2,300 feet of picking rack shelves and more than 2,000 feet of storage rack shelves, all fully-stocked, will enable us to offer a wider array of Rulmeca Motorized Pulley configurations than previously possible. Currently curing, the freshly poured concrete loading/unloading dock will soon be filled with trucks delivering rack, rails, and equipment. After that, we will receive dozens of crates of Motorized Pulley components. We’ll be ready to provide our customers with excellent service…giving them The Rulmeca Advantage.